Assuming you have the ceiling height, here's a great little project for a kids room- and one that would free up a good deal of floor space for a desk, or seating. 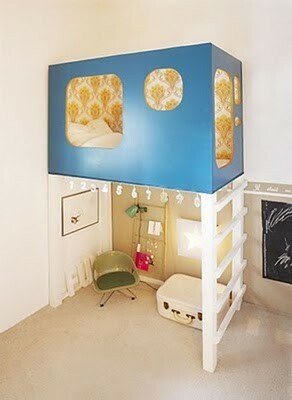 Obviously, the same, but in a larger format, concept could be applied to a set-up for adults. I'm slowly collecting a photo collection of "good space efficiency set-ups" for both kid and adult rooms, and I'll be posting those soon. In the meantime, here's a mere sample. Basically, its a plywood box, with rounded access and window holes, wall-papered within, and set on painted 4" by 4" posts- which in turn support the ladder rungs- so simple, but it looks GREAT! Feel free to share your ideas or photos too! 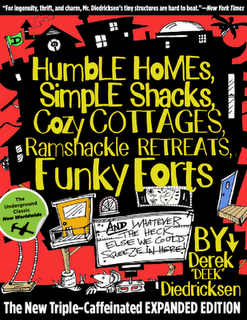 It looks like I'm being signed on to create a kid's fort/playhouse book, complete with some full plans (and many guest designers) too- IF YOU'D LIKE YOUR FORTS, TREEHOUSES, OR TINY PLAYHOUSE CREATIONS (EVEN HOBBY SHEDS) TO BE PHOTOGRAPHICALLY FEATURED AS PART OF IT, SEND ME PHOTOS (very hi-res only), and you just may be in the book- credited, or course, and all. KIDCEDAR at GMAIL dot com. A fun, hokey, n' cheap (and I mean that in a good way!) 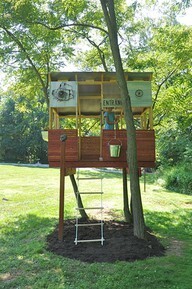 treehouse/fort! 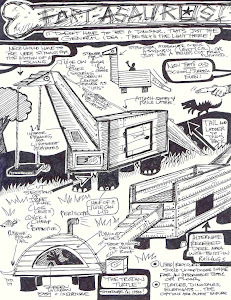 Man, I wish this was a higher-res photo, but as far as simple treehouses and treeforts go, this one just exudes fun and hokey charm. A fort like this could be built from recycled and free materials, and very affordably even if you had to purchase all the stock for it. Just be careful with trees as thin as the ones you see in the photo- the general rule of thumb is to choose trees at least 8" in diameter- I try to go by 10" in most cases though. 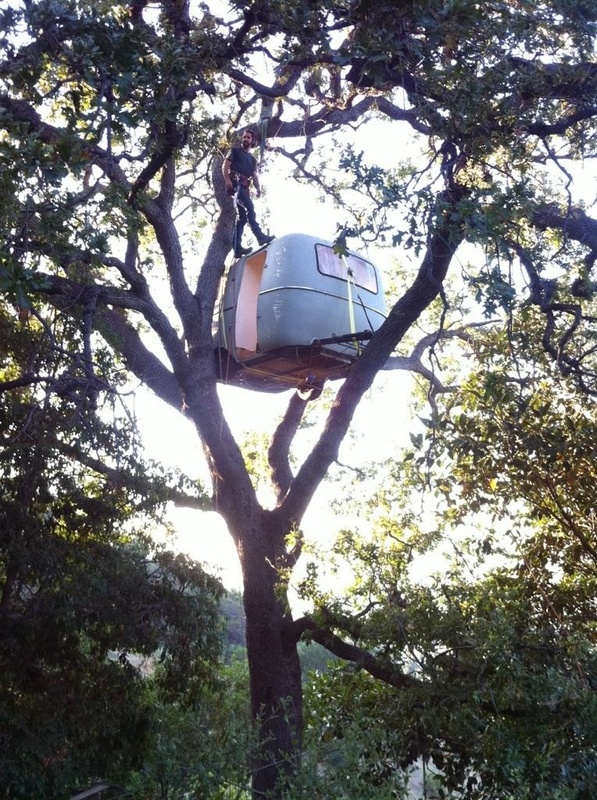 A classic camper hoisted 30 feet into a tree, as a treefort!? A Signes Shed as a Playhouse/Fort for Kids? 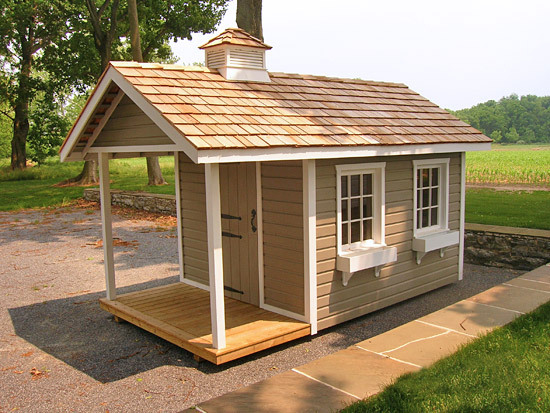 Here's a really cool little shed from the SIGNES Shed Company, that could easily double as a really great kids playhouse or fort (then later a micro-office or yoga studio/art room) for the adults. 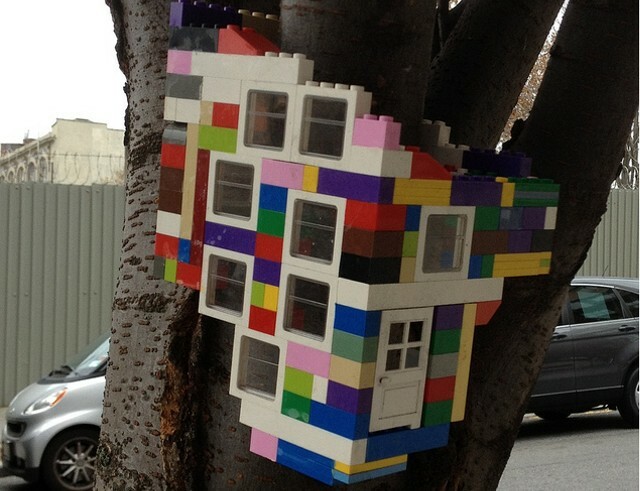 A micro fort made of Legos- treehouse "tagging"
I've long wanted to do some anonymous (well, aside from declaring it on this blog right now) treehouse/tree fort "tagging", or midnight installations, in public places. 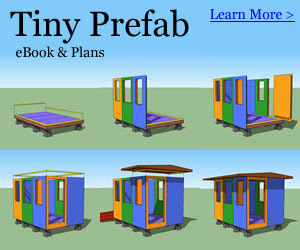 This would be with micro treehouse models, not the real deal, full size ones- I mean, who has that kind of time or money? Anyway, after seeing a photo of one, passed on from a radio host friend (Jon Kalish), the bug nabbed me, and now I've been thinking of doing it on and off again for some time-but again, you never heard it from me, as well, techically, its illegal in most cases. Now, this tiny lego treehouse here....its not going to help me kick the desire! So cool! 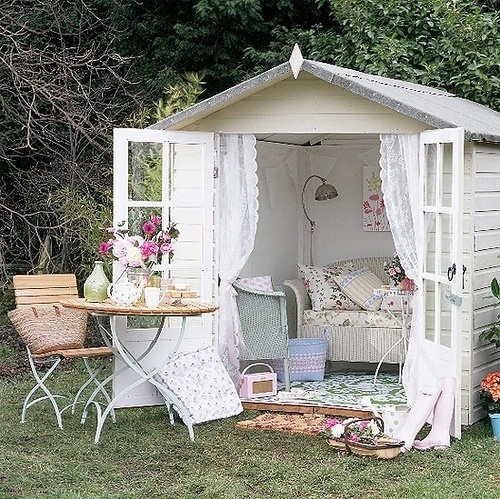 A garden shed tea spot- for kid or adults? While I may not be a fan of tea, I'm certainly a fan of this converted garden shed/tiny house- a great backyard spot for relaxation! Whether for kids as a playhouse, or for adults who want to get away and get some reading in, it certainly is a nice little retreat cabin. 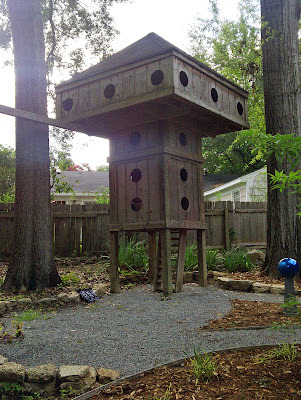 Check out this lil' (well, not-so-little) clubhouse/playhouse. This one was photographed by Holly Gomez, who runs the ever-cool/fun blog A PLACE IMAGINED. Definitely check her out, and her playhouse work. While built for adults, and as a vacation camp/cabin getaway, this treehouse is still but a fort for adults- kid at heart one's too! 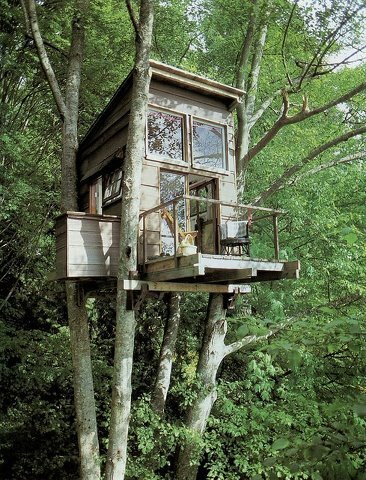 I believe this tree cabin is in one of the Pete Nelson treehouse books, and its got a woodstove, a loft bed, and even a little deck- which I'm sure leads to an amazing view!